Since Dr. Jaenen's book was published in 2003, many people have asked my opinion of his book. It is for this reason that I have written this critical analysis. I am a third generation former member and author focusing on the early history of the Two by Two church and ministry. My Critique covers these three areas: apostolic succession/doctrine, founder issues, errors and omissions. Dr. Jaenen wrote his book from a professed bias standpoint and for that statement, I, as a writer, give him high marks. When someone writes as an apologist, they are at liberty to present their case as they choose. However, Jaenen wrote as a credited historian and a self-professed apologist--not solely as a historian. And as such, his presentation should include all available information without prejudice. If Jaenen was writing solely as an apologist, he would be free to set side what might be viewed as negative points of reference in order to present his subject in the best light possible. This Critique was compiled since Jaenen wrote as a credentialed historian and did not make use of many historical sources that were available to him. Chapter 4 - What is a “ Restoration Movement ” ? Chapter 6 - Was it Started by William Irvine? Jaenen’s purpose in writing his book was: “This compilation of documents is in good measure a response to two clusters of questions which I have been asked on several occasions during my teaching career. The first query concerns the nature of the first century Christian church. What did the early Christians believe? How did they worship? What problems did they face? Were they different from the Jews or other religious groups of their day? What documentation is available to suggest the thesis that the early church was intended to serve as the model for a continuing church? The Two by Two Church is discussed in Chapter 9, Section C, pages 517-542 and the Faith Mission on pages 492-493. This Critique focuses on those pages. In 1935 his parents professed (became members of the Two by Two church) in a gospel mission held by two preachers (aka "workers") in the country schoolhouse where Cornelius received his elementary education in Antler, Saskatchewan, Canada. Jaenen states he "conceived the challenge more than half a century ago" to trace "the apostles’ doctrine and fellowshipfrom its first century Palestinian origins to some of its restorationist manifestations." (2003 minus 50 years = 1953). The year 1954 in which Jaenen conceived this project coincides with the date Douglas S. Parker’s pamphlet, "A Spiritual Fraud Exposed" was distributed. Parker stated his "study was motivated originally by the disparity between the sect’s claims of being the only true historical remnant of the primitive Christian church and the opinion of a number of people that it was the movement that was known formerly as the Cooneyites." Parker’s pamphlet provided details discovered in his research about the physical history and Founder of the Two by Two sect. 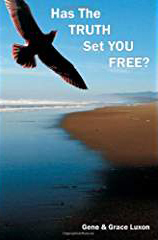 This pamphlet was distributed by mail in North America, Australia and other regions around the world. It caused much consternation within the Two by Two church members and caused some followers to leave the 2x2 church. Parker’s pamphlet stated ministers of the Two by Two church had been representing to the world and to their members that their church started when Jesus sent out the twelve disciples "two and two" from the Shores of Galilee. However, Parker’s extensive research revealed that the Two by Two church was actually started in Ireland around the turn of the 20th century (a difference of 1900+ years) and that the Founder was a man named William Irvine, born in 1863 in Kilsyth, Scotland. As a result, some 2x2 members began researching their church history and delving into ancient church history to determine if their church fellowship and ministers descended in a direct line from the apostles (i.e. was of “apostolic succession”) as they had been told. Among these was a 27-year-old Canadian high school history teacher, who would later become a Professor of History and eventually the head of the History Department at the University of Ottawa. His name was Cornelius J. Jaenen. In response to Parker’s pamphlet, Jaenen wrote a one page tract that was widely circulated within the sect, titled: "Following up the First Century Christian Church." This tract appears to have been made available to the Two by Two church members very soon after Doug Parker’s pamphlet A Spiritual Fraud Exposed was distributed. Jaenen stated that his lecture Glimpses was put together hurriedly many years ago in response to a query as to whether there was any trace of a continuation of primitive Christianity after the first centuries. As a history teacher, and later as a university professor, Jaenen’s opinions were highly respected by the Two by Twos, and his education and profession provided weight to his words. It is highly unlikely that a 2x2 member would write or distribute a tract on this subject without the ministers’ approval or without their specific request for him to do so. The large number of 2x2s who have copies of Jaenen’s tract and lecture transcripts suggests that the 2x2 ministers approved of these documents and encouraged their distribution. Historically, the 2x2 ministers have directed that written material not meeting their approval should be destroyed or burned. However, these documents have long been used as evidence that their ministers have or could have continued in an unbroken line from the apostles to the present, suggesting they were approved. Further, many 2x2s who have read Jaenen’s lecture essays reached the conclusion that their ministers can be traced in a successive chain back to the 12 apostles (a concept known as “apostolic successionism”)—even though Jaenen’s essays do not show a continuous existence of any group from the apostles to the present that resembles a currently existing sect, church or group. Almost ten years later, in 2003, Jaenen, published his book titled: “The Apostles’ Doctrine and Fellowship: a documentary history of the early church and revisionist movements.” He was 76 years old at the time of publication. In this work, Jaenen further attempts to portray the Two by Two church as being started by a group of men and women who came together collectively and then consented to Wm. Irvine assuming leadership of their group. Jaenen fails to make mention of his long involvement a member and elder of the Two by Two church. It is usual in scholarly work, and demanded of authors in scholarly journals, to declare any affiliations which present a conflict of interest with the subject being dealt with (e.g. direct personal relationships, financial gains, political and religious affiliation, consultancies, funding of research, competition with competing views, etc.) which could call into question the objectivity or reliability of statements and conclusions of the work. Had such a declaration been made, the selective and slanted reporting in some sections of Jaenen’s work would have been more understandable. Jaenen is entitled to publish his views toward the conclusion he advocates. However, readers would be wise not to assume that his work is presenting a reasonably complete or unbiased look in regards to the history of the Two by Two church. Because the contemporary records prominently picture Irvine as the sole Founder and the primary motivational force behind the early movement, Jaenen’s downplaying and omissions of Irvine’s role produces a seriously flawed picture of the movement’s beginnings. “Two by Twos” is not a newly coined name with a negative connotation. It is a highly descriptive term that helps identify a particular church. Wikipedia contains a page titled “Two by Twos.” Wiki requires articles to be titled with the name most frequently used in third-party references, and the name “Two by Twos” meets their requirement. Many favor the name “Two by Two” and use it due to its ease and convenience with no intent to be offensive. “Two by Twos” is a term that will arrest the attention of most who have ever been associated with this particular church. Of the nicknames applied to the church, “Two by Twos” works well for identification purposes, uses the fewest number of words, and can be shortened to three keystrokes: 2x2. Another name associated with the church is “Christian Conventions Representing Assemblies of Christians.” Although the 2x2 ministers claim not to have an official name for their church, at times they use formal printed letterheads with this name. View letterhead. NOTICE: For this Critique, I have chosen to use the term most frequently used by media today for this church, the “Two by Twos,” abbreviated to “2x2s.” Other terms used to refer to the church are: “fellowship,” “group,” “movement,” “sect” and “church.” The members are known as “friends” or “saints.” The terms “workers,” “ministers,” and “preachers” all refer to the same position. This choice was made for convenience and to avoid confusion. After reading my explanation and reasons for selecting this term, I hope there will be no offense taken. There is none intended. See also, The Secret Sect by Doug and Helen Parker, 1982. It was started, revived, restored by a group of individuals; i.e. a restoration movement. It was started by or restored by a man named William Irvine, born in 1863 in Kilsyth, Scotland. It has always been in existence. It was started in heaven before the creation of the world. The term “Apostolic Succession” normally means a continuous, unbroken chain of people who have directly and personally passed on the “mantle” of spiritual authority and administration within a continuously existing organization, such as an established church. A “thesis” is “a proposition to be proved or one advanced without proof.” Summarizing his studies and research, it is Jaenen’s opinion that the “Thesis of Apostolic Succession” has problems as it relates to the Two by Two church. A reply occasionally given in answer to questions about 2x2 Apostolic Succession is that the early church was hidden “underground” or “lay dormant” with a “remnant” of God’s people. A “remnant” is a small piece of something left over from the original; something that remains or survives and implies that some process, catastrophe or judgment took place which eliminated many or most of a group. In using the word “ALSO,” Jaenen is pointing out that neither the theory of Apostolic Succession NOR the theory of a Remnant Church can be established by documentary sources. CONCLUSION: Jaenen has clearly stated that he found no documented evidence showing that a particular identifiable group, assemblies of meetings or itinerant preachers was physically handed down from the first century from one preacher to the next, generation to generation, in a particular church. Working in reverse, this means that Jaenen found no evidence tracing the Two by Two church back in a direct line to the time Jesus sent out His twelve disciples on the Shores of Galilee. He found no human line of succession to or from the Two by Two church. After The Secret Sect book was published in 1982, various remnant and restoration explanations of their origins began to be preached. One was Willie Pollock with his “stump theory” (e.g. there has not always been a tree, but somewhere there has always been a root, remnant or stump of Truth, etc.) Another was that Wm Irvine was a prophet raised up by God to restore God’s way/remnant which had been underground. Another was to view Irvine as a “finder,” rather than the Founder. Also the wheat seed analogy (no matter how old, a wheat seed found today and planted will still yield the same crop: wheat), etc. Unfortunately, the facts were downplayed or called lies to those asking questions, and the perfect opportunity to right a wrong by confessing the truth about their history was lost. Regardless, most workers have taught for decades that the Two by Two church physically began with the Apostles and has continued in a direct line (succession) of workers, from one to the next, right up to the present day manifestation of their church. In other words, they claim Apostolic Succession, even though they rarely if ever use the term. The above quote is merely another way of saying that when viewed physically or naturally, there is no evidence of Apostolic Succession; but when viewed spiritually, the faith and traditions go back to Jesus and the apostles. Further, Jaenen does not identify “We” in the above quote. This leads to the questions: Who are “we”in “…we have come to understand it…” and “We have come to understand it in a different manner…” and “What we can conclude? Does “we” refer to those in authority in the 2x2s? Who besides Jaenen has formed this opinion? This “new conclusion” is an attempt to change what was a foundational platform of the unchanging 2x2 church for most; i.e. that it started with Jesus on the Shores of Galilee. That made it the genuine authentic original church of Jesus Christ. And further, it is hoped the members will just roll over, accept it and be happy with this “new conclusion.” Simply amazing. As can be seen by the number of members making their exit, pulling this foundational platform out from under them is not viewed as an insignificant change. Jaenen’s introduction of the “Apostolic Doctrine” concept is a “red herring;” a diversion that minimizes the present concern as insignificant. At the same time, a red herring may also maximize appreciation of another perspective. The goal of a red herring is not only to redirect attention, but also to change minds, focus and perspective. Jaenen attempts to persuade the 2x2 reader to accept his concept of spiritual “Apostolic Doctrine,” and disregard physical “Apostolic Succession,” hoping some 2x2s will take stock, forget about the deceptive information they were taught and believed without question for years, get over it, adopt another belief (that of Jaenen’s “Apostolic Doctrine” concept), switch focus to the substitute belief, focus on it, and be happy with the exchange. Jaenen’s endorsement of Bishop Martenson’s view that there has been a “chain of witnesses" and “finders of truth” in other sects or churches contradicts the Two belief and teaching that their church is God’s only true church; that salvation is only possible through hearing and coming into fellowship with their particular “chain" of preachers; and that all other churches and preachers are “false” and headed for eternal damnation. A “chain” is a series of objects, people or events connected one after the other. Jaenen’s “chain of witnesses” does not fit this definition, for the links are not physically connected one after another. The “Apostolic Doctrine” concept is not a “succession,” for it is not “continuous,” and starts up and fades out periodically over the centuries. 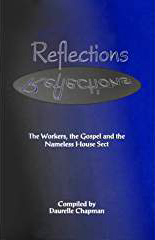 In the closing pages of his book, Jaenen describes the characteristics of an “Apostolic Model”church comprised of “the ideals of apostolic preaching and evangelical poverty, participatory worship in the homes of the laity, and observance of the ordinances of immersion baptism and frequent communion (p. 518); and an itinerant ministry, evangelical poverty, lay participation and rudimentary sacraments (p. 538). Not incidentally, all the elements of Jaenen's “Apostolic Model” perfectly describe the Two by Two church. In their testimonies, the 2x2s frequently use the contrasting terminology of “naturally speaking” and “spiritually speaking.” Jaenen is suggesting that “naturally speaking” (or physically) the Two by Two ministry and church doesn’t trace back to the first century, but “spiritually speaking” it does. One is a literal, physical person-to-person chain on this earth, while the other is an intangible, spiritual chain. On the other hand, what Christian church doesn’t legitimately claim a spiritual basis in the New Testament teachings of Jesus and the Apostles? CAUTION! When reading Jaenen’s book, pay close attention to whether the term used is “apostolic succession” or “apostolic doctrine.” While the two terms sound similar, the meanings are vastly different. Jaenen’s newly introduced term “Apostolic DOCTRINE” is NOT a synonym or a substitute for Apostolic SUCCESSION. Jaenen has infused a meaning into “apostolic doctrine” that is poles apart from the common definition of “apostolic succession.” Be careful not to confuse Apostolic DOCTRINE, with Apostolic SUCCESSION. Importance, significance, value and priority are matters of opinion--not fact. They are individually determined and cannot be proven. Readers have a right to differ with anyone’s opinion as to what is and is not important; what matters and what doesn’t matter. When confronted with evidence proving someone has not told the truth, or has repeated something not knowing it’s false, the person has at least three choices: admit it, deny it or evade it. Minimizing the significance by diverting attention is an evasion. Beware. “Movements” by their very nature often defy exact definition, yet they share some common elements. These elements make it possible to group them, however loosely, under the common denominator term of a “movement.” There is no precise set of beliefs or practices which define a Restoration Movement, and the term encompasses a wide range of sects which may have some incompatible beliefs. Restoration Movements are founded with the aim of restoring a supposedly lost “true expression” of Christianity. Their methods are derived from the New Testament, and may be augmented by revelations received by their founding figure/s. “Restorationism” is a term applied to movements which endeavor to make a new return to an idealized form of Christianity, according to their own conjecture or interpretation, as existed in Biblical times. The word “primitivism” is often used as a synonym for Restorationism. Rather than reforming, reviving or returning to the roots of a pre-existing church (reformation), Restorationists start afresh. While claiming to base their ideals on the Biblical example, such movements are selective as to what they restore. Restorationist Movements are NEWLY formed churches. “I return to the conceptual framework of this documentary history. The whole restorationist movement over the centuries hinges on this. Two main hypotheses of the nature and intentions of first century Christianity confront each other. “On the one hand, there is the view that the primitive church was just that — a primitive form or expression of the faith that would evolve, develop and mature in time and space. It began with a largely evangelistic mission conducted by an apostolic ministry and grew into a primarily pastoral mandate under the episcopacy while retaining some missionary responsibility. The following quotes from Section C show Jaenen’s preference of a Restorationist Movement explanation. Quotes are in order by page number. COMMENT: Note that Jaenen does not say these early men thought of themselves as possessors of apostolic succession, but rather that they saw themselves as reviving an apostolic style of ministry. COMMENT: Jaenen refers to George Walker as one of the “original participants.” He quotes Walker’s letter which does not cite a connection with any pre-existing apostolic style group, but rather states that it was “through their study of the Scriptures…in the several churches of which they were members” that they formed their convictions which led them to launch a new movement. COMMENT: Note the word “again. This clearly indicates that Jaenen views the group as a newly started restoration group, and not as a succession group. His question raises the possibility that just as previous groups who may have exhibited some similarities to the Apostolic Model church did not survive, so also it is possible that the Two by Two church may not survive either, thus opening the possibility that another group could then arise and “restore again” those characteristics. The Two by Two workers have long presented their church as the modern representation of the New Testament church. In his book, Jaenen places the Two by Twos at the current end of a stream of older Restoration Movements which shared some of the Two by Two’s characteristic beliefs and practices. He ignores the serious differences and incompatibilities between Two by Two doctrine and practice and what is found in these other groups. Were these older Restoration Movements in existence today, the question could be asked would they share communion with them or accept them as fellow Christians? Why aren’t they joined with the current day Waldenses? CONCLUSION: The Two by Two church fits the criteria for a Restoration Movement. It started as a Restoration Movement and the early adherents knew it was one. This changed. With the implementation of the Living Witness Doctrine, the 2x2 authorities began claiming their origin began when Jesus sent out the twelve Apostles on the Shores of Galilee. Subsequently, a good number of workers taught this and the majority of those hearing them believed they meant it came physically in a direct line from Jesus. There are third, fourth and fifth generations alive today who have heard and/or believe that the movement came both physically and spiritually from the Shores of Galilee. This is not true. It wasn’t until the Two by Two history was publicly revealed in 1982 when The Secret Sect book by Doug and Helen Parker was published, that some 2x2 authorities started to portray the 2x2 church as a Restoration Movement when questioned about their origins. After the internet began publishing documentation regarding its origins, Dr, Jaenen wrote his book, and the theme of the church being a Restoration Movement began to be spread more widely. Currently due to the exposure of Parkers’ book and the internet there is a movement afoot among the 2x2s to rewrite the history as Jaenen’s book illustrates so well. To portray it as restorationist in nature, which is true spiritually--but not physically as has been taught Of course, all other Christian churches also point to Jesus as their spiritual founder. Discussion about the “Contemporary [Irish] Restorationist Movement” (aka 2x2 church) is the climax of Jaenen’s book. This placement was no accident. It clearly reveals Jaenen’s agenda to lead the reader to believe that the Two by Two church is currently the closest restoration of the original primitive New Testament church--according to his standards for “closest.” Jaenen’s less than accurate and incomplete portrayal of the available history mixed with his personal bias combine to make it difficult for the reader to get a complete and accurate picture. If the group had been portrayed as a Restoration Movement from the time it started to the present, rather than a Remnant; and if they hadn’t attempted to rewrite the 2x2 history, many books and websites would not have been needed to correctly reflect the history. Much confusion and heartache would have been avoided. Beware of cunningly devised fables concocted on half truths and manipulated facts. It’s the right of everyone who has ever associated or come into contact with any church to have all the facts at their disposal about the history of the church in order to make reasoned, critical evaluations. The Bible itself is largely history book that purports to supply a reliable overview of the history of the Jewish nation and early church, including uncomplimentary faults, failures and mistakes. Accurate history is important. The reader will recall that Jaenen’s book has established that the Two by Two church does not trace back in an unbroken line to Jesus sending out the 12 disciples on the Shores of Galilee: “In our efforts to trace the continuity of primitive Christian ideals over the centuries, no unbroken successions or continuous activities of a particular identifiable group have been documented” (p. 535). A thorough investigation of the various “groups” mentioned by Jaenen, reveal some interesting numbers and dates. Some of his “groups” were made up of only two individuals; one “group” gathered only one time; and another group was not even associated with the Two by Two movement--it was a Methodist Restorationist movement. Also, these particular alleged “groups” did not simultaneously come together to form a new movement. Some of them became associated over a period of three years--from 1899 to 1901. Before discussing these seven groups, a Scotsman named William Irvine needs to be introduced. Jaenen uses his name as little as possible in his book, possibly because Irvine’s excommunication in 1914 was a blight on the reputation of the group he founded. William Irvine was born in Newtown, Kilsyth, Scotland, on January 7, 1863, the third of eleven children born to John and Elizabeth (nee Gressam/Grassam) Irvine, who were married in 1858. By the age of 30, he was General Manager of William Baird & Company’s Boswell Collieries in Lanarkshire, Scotland, and appeared to be well on his way to the top of his profession. A Colliery is a coal mine, including all buildings and equipment. Irvine was born into a Presbyterian family. On January 8, 1893, when he was about 30 years old, he had a conversion experience (professed faith in Christ) in a meeting held by the well-known Presbyterian traveling evangelist, Rev. John McNeill. After his conversion, Irvine studied with the Bible Training Institute in Glasgow, Scotland (aka Glasgow Bible College which ceased operating in 2014). This significant Bible study is alleged to be the pivot point which led up to the eventual founding of the 2x2 ministry and church which ultimately grew into a worldwide group of followers numbering from approximately 75,000 to about 150,000 and which has endured for a little over 100 years. (Figures are estimated as the group doesn’t provide a census.) It is estimated that there has been a decline in membership of 40% since 1993. A number of Irvine’s converts wanted to preach full time. Some applied to the Faith Mission; some were accepted and others rejected. Some went out preaching independently; and others joined Todd’s Mission. Until Irvine started the 2x2 movement, there was no cohesive movement where volunteers “left all” and “went on Faith Lines.” While he was with the Faith Mission, Irvine began operating “along independent lines” and eventually resigned. Meanwhile, it is obvious that someone was directing traffic and running the operation behind the scenes. Someone was arranging for the building of portable wooden halls/baches and moving and making them available for the workers’ missions. Someone was arranging for special all-day meetings and conventions. Up until 1901, that person was Wm Irvine, at which time Ed Cooney joined him, and came to be viewed by many as the co-leader—especially in his native County Fermanagh. Someone was assigning and moving the new workers around, developing the evolving doctrine and encouraging unity. (Accounts of John Long and Goodhand Pattison). At times, both Cooney and Irvine sent workers to John Long for training. From 1898 thru 1902 Long trained or preached with at least 12 male workers. Irvine had been loosely superintending his converts who became workers up until the time he united them into one body in 1903. When he left the Faith Mission, Irvine was already the leader of 28 workers: 4 sisters and 24 brothers, some of whom had previously worked with the disbanded Todd’s Mission. In July 1903, Irvine held a three-week long convention at Rathmolyon, Ireland on Willie Gill’s land and seventy or more workers attended. Here a number of independent workers united into a single group with workers already working under Irvine and agreed to submit to Wm. Irvine’s authority and leadership. This included John Long, Ed Cooney, George Walker, Willie Gill, and some others who had already been preaching independently on Faith Lines or with the Faith Mission. Jaenen presents Irvine merely as the group’s leader and infers that he became the leader through group consensus. However, he fails to overtly repudiate the overwhelming evidence that shows that Irvine was the Founder. In 1914 the senior workers banded together, decided they would no longer allow Wm. Irvine to be their leader and refused to submit to him any longer. Irvine wrote Wm. (Bill) Carroll, “Six years ago in April, I was rejected and despised and cast out to die, my birthright divided among my children and enemies...The Jesus Way was stolen, confiscated, misappropriated. I remember seeing and hearing you take it over in my presence.” (June 29, 1920 Letter to Wm. Carroll). Confirming Irvine’s excommunication, Jack Carroll wrote: “It is just 4-1/2 years ago since the older workers in (the) Old Country told William Irvine that they could no longer recognize him as leader, or again as being in the ministry, unless there was a complete change in his manner of life” (April 16, 1919 Letter by Jack Carroll to “My dear Brother or Sister” from Santa Barbara, CA). How important was Wm Irvine? Would the 2x2 ministry and church have been started without him? Here is Irvine’s answer: “If there had been no William Irvine...There would have been no Testimony...” (Sept. 16, 1938 Letter to Edwards and (Feb. 7, 1927 Letter to John Hardie) “Testimony” is the term Irvine used for the 2x2 church. In sworn testimony, early worker Wilson McClung stated: “Our mission was started by William Irwin, a Scotchman, seven or eight years ago. Others followed him (June 21, 1906 Impartial Reporter). Later Wilson McClung became the Overseer of New Zealand. Jaenen had been laying the groundwork for his theory that several groups joined together simultaneously to show that the 2x2 movement was not founded by one man named William Irvine. He presents the following seven groups: (1) Faith Mission, (2) Matthew 10 Bible Study Group at Kilkee, (3) 1899 Scotland Bicycle Mission Group, (4) Todd’s Mission Group, (5) George Walker’s Group, (6) Hamilton-Donnelly Group and (7) Collective Group. ERROR: From Jaenen’s choice of words, one could easily get the mistaken idea that Wm. Irvine took a group of several Faith Mission workers with him and together they started a new religious movement. However, t here were just two men who made up “a number” of Faith Mission workers who left at the time the 2x2 movement “consolidated.” They were William Irvine and John Kelly. Actually, Kelly left AFTER Irvine did—not simultaneously. Altogether, there were only 6 Faith Mission workers who joined Irvine’s group of workers over a span of 2 to 6 years. The names of the others were: Harry McNeary, Joe Burns, Alex Hinds, May Carroll and Elizabeth (Pendreigh) Betty. None of these became leading workers. According to the Faith Mission Official List of Workers, Wm. Irvine’s name was removed with the notation: “June 14, 1901 - founded Cooneyites in S. Ireland.” The names of Irvine and Kelly are shown at the very top of the List of First Workers, July 1905, both with the notation “18__” (with a blank for the year they entered the work.) If any other Faith Mission workers had left around the same general time as Irvine and Kelly did, it would be consistent for their names to also be shown in the same manner, but this was not the case. NOTE: The years these men entered the work have been added to the above quotes [according to the List of First Workers, July, 1905]. COMMENT: The names of the so-called “several” workers who studied Matthew 10 at Kilkee are well documented. There were four: Wm. Irvine, John Long, Ed Cooney and Fred Hughes (John Long’s Journal July, 1898). Irvine was older, invariably cast in the role of leader and driving force, and presumably both led the study and directed its course. These four men didn’t, as a group, simultaneously “launch out.” Fred Hughes only briefly assisted Irvine in some Faith Mission meetings ( G. Pattison), after which“Fred Hughes went back to merchandise” in August, 1898 (John Long’s Journal August, 1898). Irvine officially left Faith Mission in January 1901, but was preaching independently long before that (Bright Words Sept 1901). Ed Cooney did not become a Worker until June, 1901. Turner joined Todd’s Mission in 1899 (Source: G. Pattison). Boles, Gill and Sullivan were not enlisted as workers until 1900. John Long resigned as a Methodist colporteur in November, 1898 and on January 1, 1899, he started out as an independent evangelist preaching on Faith Lines. He remained a Methodist until November, 1899, but his ministry was not affiliated with a particular group or church. He wrote: Faith Lines is a preacher going forth without any fixed or stated salary, neither any public collections at meetings, but just trusting in God to put it into the hearts of God’s people to give to the support of them who ministered in spiritual things. (Source: John Long’s Journal, Jan. 1899). After his excommunication in 1907, he returned to preaching on Faith Lines as an independent Evangelist for the remainder of his life, and is considered one of the important influences in the development of British Pentecostalism. This mission group included eight men, shown in a widely distributed picture. (View photo) Their names and the dates they entered the work are: Jack Douglas-no date; William (Willie) Gill-1900; George Walker-1899; John Hardie-1900; William Irvine pre-1899; William (Bill) Carroll-1903; Irvine Weir-1900; Warren Hastings-no date. The Bicycle group was an experimental mission. It was not a coalescing event or a joining of forces. It disintegrated. Douglas and Hastings did not become workers. Hardie joined Todd’s Mission; Gill, Walker and Weir preached independently and Carroll entered the work when the group consolidated in 1903. Irvine was associated with the Faith Mission, while also preaching along independent lines. The experimental Bicycle group disintegrated and did not continue as a cohesive group. Some of this group joined Irvine’s other workers at the 1903 Rathmolyon Convention. “The Hamilton-Donaldson group were part of a Methodist restorationist movement that met in homes and sent out itinerant ministers in pairs. Unfortunately, it was only after the publication of my book that I realized I should have included a section on these Wesleyan Methodist restorationists. Patrick O’Donavan, the minister, was a Methodist convert from Catholicism. I do not know the names of the six “workers” from that group, except that they were ordained apparently between 1901 and 1903. So by Jaenen’s own admission, this group should be disregarded as it had no connection to the Two by Twos. R. R. Todd and his wife Jeanie were pilgrims with the Faith Mission when Wm Irvine joined them. The Todds left Faith Mission in November, 1897 to start their own independent mission. It was commonly called “Todd’s Mission;” newspapers referred to it as the Evangelistic and Missionary Alliance. After 4-5 years, in 1901, Todd’s Mission closed. Some of Todd’s workers came over to Irvine’s mission while others joined the Faith Mission. COMMENT: It would have been more correct to state that it was just “a few of Todd’s Christian workers.” Newspaper reports have confirmed that when Todd’s Mission disbanded, possibly 8 of Todd’s workers joined William Irvine’s group of workers. They were John Hardie, Thomas (Tom) Turner, Emma Gill, Andy Robb, Alex Givan, Jack and his brother Wm Jackson and George Buttimer. Some of Todd’s workers joined Faith Mission. The total number of Todd’s workers is unknown. Also, Todd's Mission was not the ICWU--Newspapers report early worker Andrew Robb stated to the court that it was the Evangelistic and Missionary Alliance. COMMENT: The first three workers who came to America were men who had already “come together,” years BEFORE they set foot in North America. Once they arrived, they embarked upon evangelizing what was then an untouched mission field to persuade others to join their existing newly founded church. Their names were: William Irvine, George Walker and Irvine Weir. The people mentioned in Walker’s letter did not constitute an additional group that independently conceived of the Two-by-Two church and/or merged with it. “Sufficient evidence” is a judgment call made by Jaenen from his assessment of the limited material he reviewed. There are some who agree with him. On the other hand, many others have reviewed the available material and have arrived at an entirely different conclusion. They have found “sufficient evidence” to conclude that the Founder was ONE individual, a Scotsman named William Irvine from Kilsyth, Scotland. Anyone can state that there is “sufficient evidence” about any subject, but that doesn’t mean it’s true or that all the evidence has been presented and taken into account—it’s merely their judgment call or opinion. While George Walker’s statement, standing alone, is vague enough to allow Jaenen’s interpretation, and although it does not mention Irvine or his role, it also does not say anything which would contradict the very many explicit references in contemporary documents to Irvine’s role as Founder. It is not surprising that Walker omitted saying anything about Irvine, given that at this time (1942) most of the American membership had been kept in the dark that Irvine had ever existed. In his statement to the government, Walker did not lie--he merely failed to give all the facts or mention Irvine. Some use Walker’s vague statement to deny Irvine’s role as Founder. By 1914, Walker was one of a group of overseers who excommunicated Wm Irvine. After that event, workers acquainted with Irvine’s role in the founding of the 2x2 church rarely mentioned Wm Irvine, a practice that continues to this day. In retelling the story of his participation in the first mission to bring the Two by Two gospel to the Americas in 1903, Walker failed to mention the names of the two workers who accompanied him. When pressed as to their identities, he still would not mention Irvine by name—only allowing that one of those workers ( Irvine) later went off the rails. Notice Jaenen’s omission of Irvine as Founder and original leader. The leadership consisted of a single man, the Chief Overseer named Wm Irvine who supervised senior ministers worldwide. As the head, he had the power to make heads roll, and he did, during the 20 or so years he was the head. Who selected the senior ministers around the world? How did they obtain their offices? To whom did they answer and report? Who was the authority over all the members? “ For I also am a man set under authority, having under me soldiers, and I say unto one, Go, and he goeth; and to another, Come, and he cometh; and to my servant, Do this, and he doeth it.” ( Luke 7:8). It was one man, Wm Irvine, and none of those under him doubted it. Jaenen presents two very small possible groups: Faith Mission (from which two individuals were early participants in the new Two-by-Two movement) and Todd’s Mission (in which only 3, or possibly 4 would eventually join the new sect). George Walker was present when the sect began and his group of a “number of people” does not address the founding of the Two by Two church with any specificity, other than to note the general time period when it started. Jaenen mentions these groups and individuals in very vague and general terms without referencing any role or action taken by them. He doesn’t tell the full story. The Derrygonnelly group should be disregarded as it was not associated with the Two-by-Twos. The Bicycle group disintegrated. He arbitrarily lumps some other individuals into “a group,” who had very little in common, other than they all would eventually become workers at some point in time. Jaenen provides no credible support for the premise that multiple persons and/or groups came together to form the Two-by-Two movement. That people employing certain similar methods and/or beliefs may have existed at the time of the founding of the Two by Two church does not mean they were involved in its founding. It is known that a few who had been involved in other movements were later attracted to William Irvine’s new group, but there is no documentary evidence they were involved in its conception or formation. It is a serious flaw in Jaenen’s theory that various individuals were simply drawn together and the Two by Two movement materialized as a consequence. Even more fatal to the idea of multiple founders is evidence Jaenen has ignored and omitted in his book, i.e., statements of contemporaries (including some made under oath) that William Irvine was the Founder of the Two by Two movement, etc. It represents a remarkable degree of disconnection that a group that has consistently denied having ANY human founder could be persuaded to consider an alternate rationalization that it was instead some supposed group of people who were the founders or finders of the Two by Two church. Perhaps the point in Jaenen’s premises isn’t so much to encourage acceptance that some number of individuals started the Two by Two church, as it is to discount or cast doubt upon the historical documentation that exists showing Wm. Irvine was the Founder. WAS IT STARTED BY WILLIAM IRVINE? Jaenen acknowledges that a man named William Irvine claimed to have personally founded the 2x2 movement and that there are some who believe that he did. However, Jaenen does not acknowledge that Irvine was the movement’s founder.. There is a noticeable agenda of Jaenen to portray the 2x2 movement as being started by a group of men and women who came together collectively and consented to Wm. Irvine assuming leadership of the group. Pushing this unsupported viewpoint further, he also takes many opportunities to downplay or omit William Irvine’s role in the commencement of the 2x2 movement. Many 2x2s were hoping Jaenen’s book would forever put away the story about William Irvine which some say “raises its ugly head ever so often.” Not so. Jaenen addressed the group theory, but like the workers who expelled Irvine in 1914, he wasn’t able to completely erase Irvine. When a woman gives birth to a child, nothing can change that fact. She will always be that child’s Mother, even after the mother or child are dead. Same goes for a founder. No matter what becomes of what he founded or what the founder does, that individual will always be the founder of the entity he started. Nothing can change that. It’s permanently engraved in truth. History cannot be erased. The assertion that William Irvine was the original Founder of the Two by Two church has been raised many times by various people through the years since its inception. Though documented earlier, the first time the news came to the attention of the wider membership of the Two by Two church, in an unusual manner, was likely in 1954 with the distribution of Doug Parker’s pamphlet “A Spiritual Fraud Exposed,” published a little over half a century after the church was started. There were other events that caused members to become aware of Wm Irvine’s role as Founder back in the 1950s, ‘60s and ‘80s, and some 2x2s discussed the matter with workers on various occasions. Jaenen does not attempt to prove Irvine did not start the 2x2 church, nor does he address research that confirms that he did. That is not the scope of Jaenen’s book. He has chosen to portray the church as a restorationist movement started by several individuals/groups, and he stays focused on that point of view. So it’s not surprising that Section C of Jaenen’s book is strangely quiet about the Scotsman named William Irvine. His name appears only 21 times. Ten of these instances are embedded in quoted material originating from others, and eleven appear in comments made by Jaenen which will be discussed below. Most of the instances where Jaenen mentions Irvine by name, he marginalizes his actions, portrays him as a minor character, depicts him in a negative light and even ridicules him. Because the contemporary records prominently picture Irvine as sole Founder of and the primary motive force behind the early 2x2 movement, Jaenen’s downplaying and omissions of his role produces a seriously flawed picture of the movement’s beginnings. The few times Jaenen mentions Irvine in his book are discussed below, in order by page number. ERROR: Irvine was f irst shown in Faith Mission Publication “Bright Words” as Superintendent in 1898. COMMENT: It is significant that Jaenen mentions the preachers at some highly successful Irish Revival Missions held in Nenagh, Rathmolyon, etc. but fails to provide the name of the Revivalist! The principal preacher was William Irvine and possibly Fred Tapp, who were both associated with the Faith Mission at the time. Although John Long made arrangements to secure a place to conduct the Nenagh mission, he did not record in his Journal that he had a speaking part in these particular early missions (John Long’s Journal, August, 1897). Rather he stated, “It was a great privilege for me to get the benefit of those meetings; and to be a fellowhelper in pointing anxious souls to Christ” (John Long’s Journal, March 1898). Jaenen drops the names of George Walker, William Gill and John West, who all made a point to seek out Wm Irvine in his missions. Yet he only mentions Irvine’s name in connection with Edward Cooney meeting him, and nothing more. Further, Irvine didn’t just happen to meet Cooney in Rathmolyon. It was Cooney’s curiosity about Wm Irvine that brought them together in Borrisokane (not Rathmolyon). G. Pattison wrote that at the Methodist Church “...while conducting the Borrisokane mission...Wm. Irvine first met Edward Cooney...” (G. Pattison in Account of the Early Days). Long wrote: “A Christian commercial traveller, named Edward Cooney, during his business tours, met some of the young converts and being impressed with the genuineness of their testimony was resolved to meet the Evangelist [Irvine] and have an interview with him” (John Long’s Journal, Jan. 1898). And that particular Revival was conducted by Wm Irvine. It is commendable that Jaenen gives John Long credit he is due for making the arrangements for Irvine to hold a mission in a Methodist building in Nenagh where Irvine preached his highly successful Revival Mission. However, the building wasn’t what drew people, nor was it the building that encouraged the people to convert. It was the life and message of Wm Irvine. There is no written evidence that Long, a young Methodist Colporteur (a seller of Methodist literature) at that time, preached in either of these two early missions. COMMENT: Jaenen’s statements above can be verified, except for his inclusion of Fred Hughes, who “went back to merchandise” in August, 1898 (John Long’s Journal August, 1898). Also, the Faith Mission Workers List never shows John Kelly and Irvine as companions. These men didn’t all start preaching on Faith Lines at the same time or as a group (See: Bright Words, Sept. 1901 ). Wm Irvine and John Kelly left Faith Mission at different times in 1901. An organizational convention was held in 1903 in Rathmolyon, where about 70 plus workers came together and agreed to submit to Wm. Irvine’s authority and rules. This is when and where the group coalesced and organized under William Irvine’s leadership and a cohesive new organization was born. A movement requires a group coalescing around advocacy advanced by a foundational leader/leadership and foundational ideas. COMMENT: This statement is true and can be confirmed. However, it is important to note that this was not the first time the two men had met. On the other hand, there is sufficient evidence now for many to believe that Wm. Irvine didn’t merely “assume” the role of leader—he WAS the Founder and Leader from its inception. And they also believe that it was Wm. Irvine who collected the group (his “contacts”) together into a separate cohesive body, who had been their leader behind the scenes all along. Wm. Irvine gathered and united them into one body at the Rathmolyon convention in 1903, at which time he set before them what would become their unified standards, doctrine and practices. It was Wm. Irvine who was “the nucleus,” and all his “contacts” or converts to his method traced back to him and no further. He had personally converted some of the “nucleus” members and they helped convert others who helped others, etc. And the chain links all lead back to Wm. Irvine. Who was before Wm. Irvine? No one. He was the father, the Adam, the originator, the genesis, and the Founder of the Two by Two church. The chain of living witnesses began and ended with Wm. Irvine. The chain went out from him, and led back to him. To be accepted into the Two by Two movement, one had to profess through a representative whose could trace their faith all the way back to Wm. Irvine, the Founder. LINK to Letters written by Wm Irvine stating he started/founded the 2x2 church. COMMENT: Irvine’s role as founder can be easily traced in documents from the early years of the movement. This includes explicit sworn statements by at least two workers in court cases (Read: Cooney's Statement, Irvine's Statement) and reports from a variety of news publications during the first 2 decades of the 20th century. The contention that Irvine’s role was invented later is deceptive and shows selective reading or lack of reading of the sources, at best. Also, Irvine’s millenialist themes were noted in his preaching at least five years before his ouster, and he moved to Jerusalem in 1919--not 1914. By omission and unwarranted marginalization, Jaenen has endeavored, in a rather glaringly obvious manner, to paper over Irvine’s founding role in the Two by Two church, and to dismiss his claim of being the originator. Jaenen conveniently omits dealing with the great amount of surviving documentation from the early years of Irvine’s movement, which depicts Irvine as both Founder and head of the new 2x2 church. LINK: What did the newspapers say about Wm Irvine? LINK: Who said Wm Irvine was the Founder? Following are some ERRORS found in “The Apostles Doctrine and Fellowship,” a few of which have been discussed above in more detail. ERROR: Insufficient material used to draw conclusion and willful omission of pertinent facts. “Sufficient evidence” is a judgment call made by Jaenen from his assessment of the limited material he reviewed, and there are some within the Two by Two church who would agree with him. On the other hand, many others have reviewed the evidence and found “sufficient evidence” to conclude that the Founder was ONE man named William Irvine from Kilsyth, Scotland. That William Irvine founded the group and was its originator and initial leader was the most common view during the early years of the movement, and continues to be the generally accepted view based upon the available evidence. Anyone can declare that there is “sufficient evidence” for an assertion made about any subject, but such a contention without sound supporting corroboration offers no basis for concluding that such a claim may be true. ERROR: According to both John Long’s Journal and Goodhand Pattison’s Account of the Early Days, Irvine first met Cooney at Borrisokane in January 1898 (not November 1897 and not Rathmolyon). ERROR: It is not true that Irvine’s early role as Founder and Leader was not made known until “almost a century later.” It is true that Irvine and Cooney were the best known workers in the movement in its Early Days. It may or may not be true that the “claim…wasnot generally admitted,” and consequently only a few have known that Irvine was the Founder. However, Irvine’s founding role has been repeatedly raised publicly from the movement’s earliest days and since; e.g. in letters, writings, books and newspapers. By his own admission, Jaenen deliberately chose not to take the numerous newspaper articles, etc. into consideration before printing his book. ERROR: Wm. Irvine arrived in Jerusalem on November 27, 1919 (not 1914). The explanations offered for Irvine’s excommunication vary considerably, and are not confined to moral laxity. To the Critiquer’s knowledge, there is no document to substantiate this was the reason. Jack Carroll wrote: “It is just 4-1/2 years ago since the older workers in (the) Old Country told William Irvine that they could no longer recognize him as leader, or again as being in the ministry, unless there was a complete change in his manner of life” April 16, 1919 Letter by Jack Carroll to “My dear Brother or Sister” from Santa Barbara, California). ERROR: It appears Jaenen erroneously attributed to Todd the reason most often given for Wm. Irvine’s dissatisfaction with the Faith Mission; that of his objection to converts lapsing while members of mainstream churches. However, Jaenen provides no source confirming Todds’ objection or that the Todds were ever associated with the ICWU. Further, a requirement for membership in the ICWU was that one MUST belong to a local church. Also, the ICWU was located predominantly in the North of Ireland and the Todds were located in the South of Ireland. The situation described by Jaenen could not be the case because the ICWU “assemblies” were not churches. Their assemblies were similar to Faith Mission prayer union meetings, in that the attendees were members of a local church. “The primary object of a Christian Workers’ Union is to provide a common platform upon which all believers may unite in whole-hearted and aggressive effort for Christ, irrespective of denominational distinctions or differences” (Source: To God be the Glory – Personal Memoirs of Rev. William P. Nicholson, pp. 110). ERROR: It is misleading to state that Irvine walked out with “a number of Faith Mission workers.” The first two men who left Faith Mission hardly justifies the term “a number.” They were William Irvine and John Kelly. Irvine plus ONE. According to Faith Mission Official List of Workers, Wm. Irvine’s name was removed with the notation: “founded Cooneyites in S. Ireland.” John Kelly is the only one who could be regarded as someone Irvine“took with him,” and he left the month after Irvine left. Four other Faith Mission workers became associated with Irvine’s new movement over the following four years after he left . ERROR: It is not likely that the Crocknacrieve convention was “patterned on the Powerscourt House conventions,” since the Powerscourt conventions had ceased 70 years earlier. None of the early 2x2 workers were old enough to have attended. Beginning in 1829, at Powerscourt Castle, conventions were held annually for seven years and ended in 1836, which was the year Lady Powerscourt died. The annual Keswick Conventions were quite well known at that time. They were started in June, 1875 by a clergyman from the Church of England named Dundas Hartford-Battersby in Keswick, England. Keswick was not a school of theology, not a seminary, and not a new sect, society or church. By 1895, attendance at the Keswick Convention tent meetings had risen to 3,000. It is important for readers to ask these questions. Why does Jaenen attempt to draw attention away from Keswick? Why mention Powerscourt? Why disagree with Fred Wood? What does he have against Keswick? CONCLUSION – The errors speak for themselves. Omissions may consist of suppressed or selectively presented and partial evidence. Omitted information can be harmless or harmful. A harmful example is a situation where an author omits an important fact which deliberately leaves the reader deceived, or with a misconception, or a biased view. Authors with integrity do not ignore contrary evidence even when it discredits or disproves their point. They do not overlook or disregard evidence that undermines their premises and conclusions. Presentations that are loaded or biased fall into the realm of rhetoric, sensationalism and propaganda, rather than being conscientious, factual and trustworthy accounts. In researching his book, Jaenen stated he was “quite aware” of all the available historical documents. Yet he does not provide references for some of his material purportedly derived from significant primary sources. Possibly, this omission was because he did not want to help his readers locate certain sources that would undermine the viewpoint being pushed, such as works by W. C. Trimble and Doug Parker, which contain evidence that contradict Jaenen’s conclusion. Before reviewing Omissions from Jaenen’s research and book, let’s examine what sources were available when he published his book. Which sources did he use? Did he make use of all the resources available? NOTE: It wasn’t until after Jaenen’s book was printed in 2003 that he acquired a copy of Long’s Journal from the Irish source who made the first contact with the Journal’s owner in 2002. The remaining sources were documents Jaenen stated that he was “quite aware of,” but did not use or quote from any of them directly. He replied: “I am quite aware of the other sources you enumerated, particularly the Parker books based in good measure on the articles over time in the Impartial Reporter. William C. Trimble, editor and proprietor of this paper in Enniskillen, also wrote a vitriolic pamphlet circa. 1909 against the ‘friends’ and ‘workers’.” (Letter to Cherie Kropp dated April 6, 2010). Source used by Jaenen: Instead Jaenen stated he preferred to support his account with: “The memoirs of the Methodist preacher, George J. Coulter, principal of the Ballinamallard Methodist School until 1938.” (April 5, 2010 Letter to Cherie Kropp). The Coulter Account, containing 2 brief pages about the commencement of the 2x2 church, can’t begin to compare with the volumes of information printed in the Impartial Reporter Newspaper over several years. OMISSION OF IMPARTIAL REPORTER NEWSPAPER: It is an astonishing omission that Jaenen does not draw from or make a single reference to the largest body of historical documentation available about the start-up of the Two by Two church, namely the material printed in the Impartial Reporter newspaper (W. C. Trimble, Owner) located in Enniskillen, N. Ireland. This newspaper reported extensive details about Irvine, Cooney, the new movement, its preachers, their sermons and practices, as well as covering the local large scale convention at Crocknacrieve on the large farm owned by John and Sara West. Materials from this and other contemporary newspapers have been available in print, through libraries and since the early 1990’s have been posted on the Internet, as well as books and articles concerning the Two by Two church. The Impartial Reporter is used as a primary source in a book by Patricia Roberts, from which Jaenen occasionally quoted. Ignoring a huge mass of contemporary reporting could be compared to studying the life of Abraham Lincoln and the Civil War without including newspaper accounts from the South because the writer didn’t care for the tone of the southern reporters. The study could not claim to be either complete or to being a historical overview. OMISSION OF OTHER CONTEMPORARY PERIODICAL ARTICLES: It is a significant omission that Jaenen does not reference articles in the many other newspapers, periodicals and other contemporary published sources which documented the early history of the Two by Two sect. These readily available sources contain vital information regarding the founding. OMISSION OF THE SECRET SECT by Doug & Helen Parker: Jaenen does not mention the Doug Parker or Parkers’ book; not in a comment, footnote or his bibliography. This omission is extraordinary since Parkers’ book was the single source that contained more documented history about the Two by Two movement than any other source at the time Jaenen wrote his book. Further, Jaenen’s book presents factual information that has solely been documented in Parkers’ book, without giving proper attribution to the Parkers. Again, Jaenen stated he was “quite aware” of this source. Five Footnotes in Jaenen’s book list unpublished, private, personal documents that are not available to the public, and it is unlikely the public could verify or locate this information. These are discussed in Chapter 9. Page 524: Jaenen wrote that in March 1898, when Irvine was preaching in Borrisokane, in County Tipperary, Cooney approached him “each claiming the liberty to follow Jesus as [he] received progressive light from God by the Spirit. “ Jaenen failed to provide the source of this quote. It is found in a letter written by Ed Cooney to Alice Flett in 1930 printed in Patricia Roberts’ book: The Life and Ministry of Edward Cooney, pp. 9–10. Page 525: ( Omits the source, which was the Impartial Reporter). COMMENT: Jaenen has steadfastly refused to provide a copy of Alfred Trotter’s Account out of “respect to some prior commitments to the family…If you want to see the entire document you would need to contact the family directly, as the permission is obviously not mine to give.” The Account is a very long handwritten letter that Alfred Trotter of Londonderry wrote to his sister, Edith Trotter, in Sydney, Australia. Trotter was born in 1893, professed in 1912 and died in 1995, age 101.5. He was not a worker and was not present at the beginning of the movement. 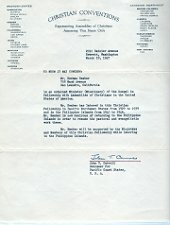 The first page of Trotter’s letter gives the date of 8-1-1968, while Jaenen gives the date as July 28, 1976. In a scholarly book such as this one, it is remarkable that Jaenen quotes an unknown, unpublished documentary source, for which he cannot or will not provide evidence, n or is it available through the book publisher. An Irish worker holds the original. Further, Jaenen prefers to rest his interpretation based upon a version supposedly given in this inaccessible account penned by an obscure character, giving it credence, while ignoring the many other written accounts and published statements by people who were on the scene and notable participants intimately involved in the formation of the sect. With this unpublished, unclear, partial reference, Jaenen appears to be leading the reader to believe that it was John Long who was the Founder of the church, rather than Wm Irvine. Trotter does not explain what he meant by “He it was who fired the first shot in a campaign.” John was a helper of Wm. Irvine. Perhaps Trotter was referring to Long as being the first Evangelist to go on Faith Lines. Long helped by finding openings where Wm. Irvine held missions. Long described his role: “William Irvine and I…being the two instruments used of God at the origin of that movement.” Long spoke of his involuntary separation from the movement in 1907 as “…robbed me of my privilege, namely the right of fellowship in the mission I helped to start.” (Source: John Long’s Journal, June-July, 1907) In addition, Long consistently described William Irvine as being the motive force behind and sole leader during the sect’s formation. Pages 536-7 (Omits translation of Latin words, leaving most readers to pass over these phrases, unable to follow the point being made or supported). Read translation in bold brackets below. COMMENT: Jaenen appears to be stating that SOME consider the December 1899 gathering held in Ireland where two or more individuals (“elements”) united into a single group (“moment of consolidation”) as the group’s “kick off” meeting. On the other hand, Goodhand Pattison and Patricia Roberts do not address an actual “starting date” in their writings. John Long viewed the beginning date of the Go-Preacher Movement as the Nenagh Revival in 1897. “The movement grew and spread rapidly…in 1914…They became a registered sect to avoid military service during World War I. They were registered in London as ‘Testimony of Jesus.’ "
CONCLUSION - So, it appears that Jaenen deliberately left out of his book the two largest bodies of primary sources of documented historical information. This leads to the questions: Why did Jaenen do this? Why did he suppress this evidence? Could it be because he did not want to lead his readers to these two sources which may have contradicted his conclusions? A glaring example of Jaenen’s use of omissions that allows readers to be led to a false conclusion is his sentence introducing the REVIVAL missions. The name of the Revival preacher is omitted. Goodhand Pattison and John Long Accounts confirm the preacher was Wm Irvine. In fact, t he only speaking preacher at most of the Revival Missions was William Irvine. Jaenen’s prejudice is revealed by his exclusion of historical data that supports an alternative viewpoint. An author’s failure to consider contrary, available evidence that could cast doubt on their conclusion does not give an honest and complete picture of the issues involved, nor does it allow readers to come to informed conclusions. Even though it is fair for a scholar to air his or her own preferred viewpoint, contemptuously dismissing, minimizing or ignoring swathes of vital, well-documented and firmly established evidence and attributing undue importance to other information produces a slanted and dubious presentation. Section C of the book titled “Select Restorationist Movements” discusses the Two by Two church from pages 518 to 542 (the end) and Faith Mission on pages 492-493. The footnotes and bibliography contain errors, omissions and unpublished works that are unavailable to the public. These discrepancies are discussed below in detail. Unpublished works are those which have not been distributed in any manner. (1) Footnote links to an article that doesn’t contain the material quoted (#225). “Outline of the History of a Peculiar People from 1900-1931,” Unpublished typescript, n.p. COMMENT: The quoted material relating to Footnote #225 is NOT found in Magowan’s “Outline” document. This document is written as a stage play and is not firm historical documentation. Footnote # 219 PA-1-12, Page 522: Account by Alfred Trotter to Edith Trotter, 28 July 1976: “He [John Long] it was who fired the first shot in a campaign which was destined to re-echo around the world. And he was present on many momentous occasions, went out in the work and sacrificed much in the days of his youth.” p.5. Footnotes #217 and #220 refer to the same document by different titles. Footnote #217 PA-11-7, Page 521: “The Work of God in Ireland in 1898,” Unpublished manuscript, May 1925. COMMENT: This “unpublished manuscript” is the same document as #220, but uses a different title and omits the author’s name, which is Goodhand Pattison. COMMENT: This letter is not written by JOHN Pattison but rather by John’s father, Goodhand Pattison to his son John Pattison (the Jr. suffix is incorrect). COMMENT: This statement has been destroyed by the U.S. Government; however copies of it may be viewed on the internet. “Select Bibliography” from pages 543 thru 556 lists particular Primary and Secondary sources which support statements and Footnotes made in Jaenen’s book. It is noteworthy that no books are listed by Patricia Roberts’ or Doug and Helen Parker, who are considered specialist in 2x2 church history. In fact, there is not a single book listed in Select Bibliography that refers to the Two by Twos. CONCLUSION: In a scholarly book such as this one, it is remarkable that Jaenen quotes unknown, unpublished documentary sources, for which he cannot or will not provide evidence. To his discredit, Jaenen did not address the mass of readily available newspapers, documents and books that confirm Wm Irvine started the 2x2 “Irish movement.” He has dismissed and ignored numerous important primary and secondary sources of documentation. As a long time member of the 2x2 church, he was aware that his failure to find support for 2x2 Apostolic Succession would stun, shock, dismay, distress, disturb, disappoint, dishearten, confuse and confound many 2x2 followers, and possibly lead to a significant exodus. To counter these reactions, Jaenen presented a smorgasbord of alternatives to pacify, appease, placate, mollify his readers; to shore up their confidence in the 2x2 church; and to provide a tiny sliver of hope for some to cling to. B. For those who still want to believe in a line of succession, Jaenen attempts to redirect their focus to what he terms “the Apostolic Succession Theory;” that “....there has been a chain of witnesses of the Apostolic Doctrine and fellowship over the centuries.” (p. 538). He diminishes the importance of a direct physical, tangible line of succession from the first century and substitutes a different viewpoint; that of a spiritual succession. In other words, he attempts to persuade the reader that it doesn’t matter that the physical lineage cannot be traced because the spiritual beliefs still go back to Jesus/apostles. “It mattered little whether they were part of a righteous remnant or could trace their spiritual genealogy back to the first century. What mattered was that they considered themselves to be a continuation in their day of the apostolic faith and tradition . (p 536) This is certainly nothing new—most if not all Christian churches claim to base their beliefs in the spiritual teachings (doctrine) of Jesus and the apostles. Jaenen endeavors to persuade the 2x2 reader to accept his concept of “Apostolic Doctrine,” and forget about “Apostolic Succession.” Hoping 2x2s will take stock, forget about the deceptive information they were taught and believed without question for years, forget they were victims of spiritual fraud, adopt another viewpoint (Jaenen’s “Apostolic Doctrine” concept) and be satisfied with their exchange. In other words, it doesn’t matter that the physical lineage cannot be traced because the spiritual beliefs still go back to Jesus/apostles. C. For those who believe in a Restoration Movement. Jaenen views the 2x2 church as a Restoration Movement. 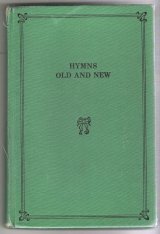 The cover states the book portrays the Two by Two church as a Restoration Movement which started during 1897-1904 in an attempt to recreate the primitive New Testament church. This is true. All Restoration Movements have a start and someone who started them. Wm. Irvine’s experiment to “restore” God’s true way to earth wasn’t a novel or unique approach. This very same ideal was embraced by many of the leaders of The Restoration Movement in the early 19th century; the ideal of restoring the primitive New Testament church and returning to the faith and practice of the Apostolic Age. However, no matter how close, the 2x2 church still wasn’t presented to most of the laity as a Restoration Movement, nor as a recreated primitive New Testament church. Instead, they were told their church started when Jesus sent out His disciples on the shores of the Sea of Galilee which had continued until the present day in an unbroken line. This is spiritual fraud. And Jaenen has been unable to trace an unbroken continuation of the NT church. The back cover claims to be examining movements “from at least the fourth century to the present,” but actually, Jaenen stops with a group started a little over 110 years ago, and he does not bring his research up to “the present.” Jaenen wrote: “ The last episodes in our historical itinerary are centered on Ireland and Scotland in particular” (p. 539). 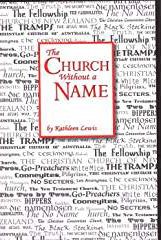 Jaenen appears to be a “detractor” in the final pages of his book where he attempts to detract from the historical record and lure the reader into accepting that the “Contemporary [Irish] Restorationist Movement,” (Jaenen’s name for the Two by Two church) is an exceptional current restoration of the original primitive New Testament church. He leaves this thought with readers in the last paragraph in his book: The contemporary [Irish] movement would appear to be exceptional inasmuch as it has during a century of expansion into new lands and cultures evolved in its understanding of the apostolic faith while adhering to its first principles. (p. 542) Which it does not. Placing discussion of the Two by Two church at the end of his book could lead a reader to think that the 2x2s are the last Restorationist Movement in the world; or that no other Restoration Movements have been started in the last century. However, there were Restorationist Movements occurring in the 19th century long before the 2x2 church appeared on the scene and others are still being formed. Some of the 19th century restoration churches Jaenen mentions are still quite active; e.g. Plymouth Brethren, Campbell-Stone churches, Mennonites and others. Would a non-2x2 historian have stopped their book with the “Contemporary [Irish] Restorationist Movement,” which started a little over 110 years ago? Out of seven groups Jaenen discusses, he presents only two that more or less fit the criteria of a startup group. One group is the Faith Mission (2 individuals of whom were early participants in the new Two-by-Two movement). The other group is Todd’s Mission (only 3 or possibly 4 who would join Irvine’s new sect). George Walker’s “number of people” does not address the founding of the Two by Two church with any specificity, other than to note the general time period when it started. Rather he mentions these groups and individuals in very vague and general terms without referencing any role or action taken by them. The Derrygonnelly group should be disregarded as it was not associated with the Two-by-Twos. The Bicycle group disintegrated. Jaenen arbitrarily lumps some other individuals into “a group,” who had very little in common, other than they all would eventually become workers at some point in time. Jaenen also throws in John Long as the motivating force behind the movement. John Long’s Journal proves this was not the case. E. For those who claim it was started by a single man…William Irvine. “Detractors” is the term Jaenen uses to refer to those who claim Wm Irvine started the 2x2 movement. Jaenen attacks the messengers he refers to as “detractors,” instead of addressing the facts. He doesn’t debate about Wm Irvine, nor does he address the vast amount of documentation showing Irvine as the 2x2 movement’s Founder, early leader and motivating force. He skirts around it by saying that “ Irvine asserted…that he had personally founded…that he had personally founded the movement” (p. 530). This is as close as Jaenen gets to referring to Irvine as the Founder. He rarely uses Irvine’s name, and when he does, it is usually to contemptuously marginalize Irvine. It is not to comment on the vast amount of primary documentation available about Irvine, of which Jaenen has confirmed he is aware. Jaenen qualifies for the title of “detractor” with his various attempts in his book to “detract” readers from documentation about Wm Irvine by using derision, errors and omission. The Fallacy of Invincible Ignorance occurs when someone believes that new evidence need not be considered because s/he knows in advance that it is irrelevant to the truth or falsity of a belief. The person is convinced PRIOR to investigation that the truth of a certain belief is established, and any counter-evidence is explained in a way that preserves the belief. Does this describe Jaenen’s treatment of the facts about Wm Irvine? Those seeking documentation of the early years of the 2x2 church at the turn of the century will not find much to enlighten them in Jaenen’s book. William Irvine’s role as Founder of the Two by Two church is well documented, yet Jaenen does nothing to address or counter the research of others showing Irvine founded the group, and ignores the sworn testimony during the first decades of the church which attest to Irvine’s founding role. Omission of documented information about Wm Irvine does nothing to disprove he was the Founder. 1. The Founder, creator, originator, designer, author, father, genesis of the 2x2 church. 2. A worker in the 2x2 sect for a time. 3. One of several workers who started the 2x2 sect. 5. A man used by God to restore the 2x2 ministry and fellowship (restoration movement leader). 6. The finder of the underground remnant church. 7. A prophet of God, similar to the Old Testament prophets. We may never know something with perfect, absolute, and infallible certainty. However, the probability and documentation is sufficient to warrant the belief that Wm Irvine is the Founder of the 2x2 church which evolved as a Restorationist Movement; and sufficient to reject the unproven, undocumented alternatives presented by Jaenen in his book. Unfortunately, Jaenen paints an incomplete picture of Restorationist Movements with a bias toward a particular movement in which he is heavily invested. As a believer I am not against Restorationism, so long as the total focus is on the Saviour, Jesus Christ.